Worm eggs are detected by mixing faeces with a salt solution so they float and can be counted under a microscope. The worm egg count (WEC) is expressed as the number of eggs per gram of faeces. Worm egg counting can be used for any class of livestock and is especially important in sheep, where good worm control is essential to prevent disease and maintain efficient production. testing individual sheep for selection for worm resistance. A veterinarian or sheep adviser should be consulted to assist in planning a WEC monitoring schedule and to recommend action on the basis of results. Worm egg counts will determine whether signs of worms (such as scouring, ill-thrift or weakness) are due to worms and whether immediate treatment is needed. WECs also indicate if smaller worm burdens have reached the point where they are likely to be causing unrecognised production losses. Pre-emptive treatment reduces this loss and prevents further worm egg contamination of paddocks which may lead to further worm problems. Monitoring is most important during the ‘wormy seasons’ of winter and spring. A WEC will indicate whether a drench is needed, can be avoided or delayed, or if a further WEC should be taken in the near future to confirm a trend. The exact figures for these decisions vary depending on several factors including the time of year, seasonal conditions, geographical location and class of sheep. While very high or low counts may give a straightforward indication, in many cases assistance will be needed to interpret the result. Worm egg counts during autumn will determine whether there is significant worm egg contamination of pastures to lead to significant worm problems later in the year. A drench given at this time, as indicated by the worm egg counts, may be needed to reduce the risk of problems in winter or spring. The most important flocks to check are weaners and hoggets. This is especially important if the drench type used for summer drenches is not known to be fully effective, as resistant worms surviving that treatment will become the main source of future worm populations. Worm egg counts are the basis of drench resistance testing. Several drench types can be tested at the same time by treating different groups of sheep with different products. The level of resistance for each drench is indicated by the percentage reduction in egg count compared to an untreated control group. For more details on how to conduct a drench resistance test see Sheep worms – testing for drench resistance and effectiveness. Worm egg counts can also be used to give a rapid assessment of the effectiveness of a particular drench after a treatment has been given. 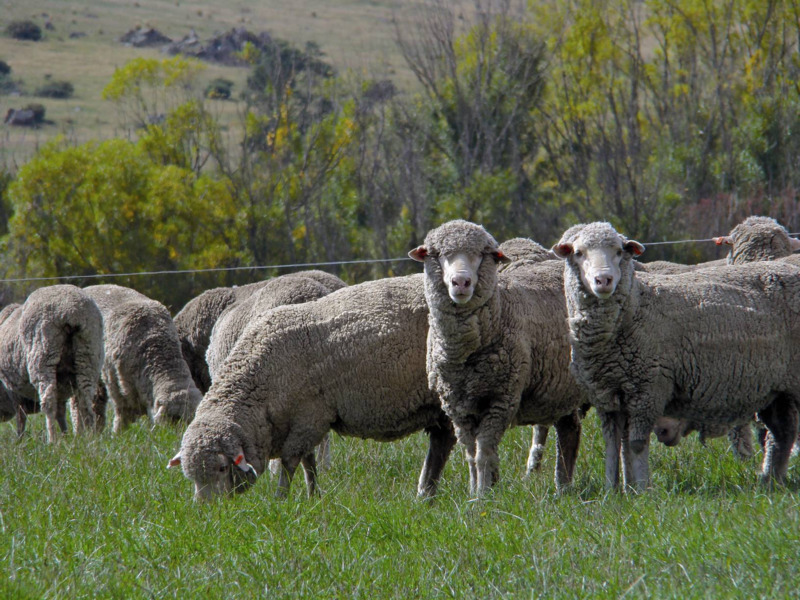 Ideally, a worm egg count is taken when the sheep are in the yards for drenching and then again 10–14 days later (from the paddock, see Sampling guidelines) to indicate the percentage reduction in egg count. Even a single count taken 10–14 days after drenching can be useful, as it will show whether or not treatment was sufficiently effective for the purpose. Ram breeders are encouraged to include worm resistance in their selection index. Using rams of a low worm egg count index will, over time, lower worm burdens on the property. Worm egg counts vary considerably between individual sheep in any flock and comparing the average worm egg counts of groups of lambs from ewes mated to different rams indicates the relative worm resistant status. This information can be used in a breeding index, along with production and product quality indices. Sheep worms - breeding for worm resistance in sheep provides more information. It is recommended that a geneticist is consulted to plan testing and analyse the results.